The Fenebahçe made official his cession and the player already is in Madrid, but it can not be inscribed if it does not leave an extracomunitario, subject not so simple as it seemed. 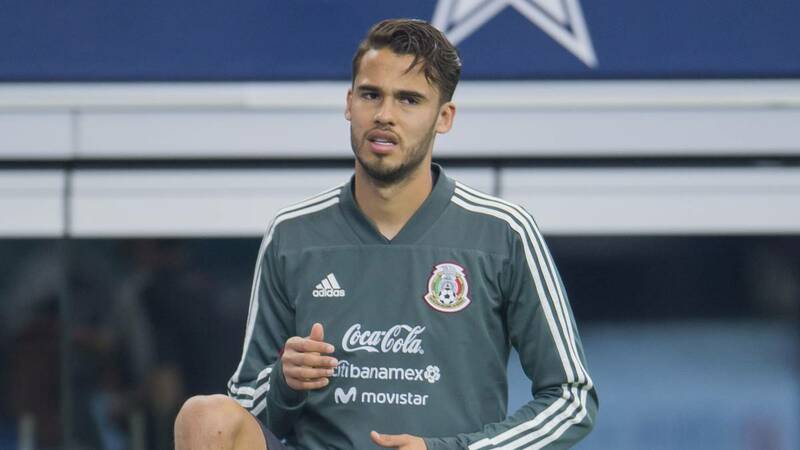 The signing of Diego Reyes for Leganés is still a complicated matter. The Blue and Whites' team has closed its incorporation. Moreover, the Mexican soccer player, center of 26 years on loan from Fenerbahçe, has already visited this morning the facilities of his new equipment to then pass medical examination. The Turkish club announced its departure yesterday to Butarque. It happens, however, that for now Leganés can not sign him for not having free extra-community seat. Diego Rolan, Michael Santos and Alexander Szymanowski occupy right now. And to achieve any of these places is vacant is being more complicated than it seems. Everything, by the way, in the absence of just two and a half days to close the winter market. In Leganés original plans was priority to the departure of Diego Rolan. The soccer player no is having the prominence that was expected after the club paid 1.5 million euros for its assignment, in addition to a salary also above one million euros. It happens, however, that does not count for Pellegrino and that, together with several physical problems, has led him to a repeated substitution. Although the Leganés has offered to several Primera teams (Eibar, Rayo and Huesca among others), for now Rolan has no firm offers to leave the club, so it is not ruled out that he will continue in Butarque from here until the end of season. With Santos the situation is different. The player also appears in the list of departures of Leganés and has more poster than Rolan within the Spanish market. After his injury, Pellegrino has given him minutes, although sporadically. The arrival of Braithwaite makes it, de facto, the front quarter with Sabin Merino. Así things, the footballer has also been offered to others First. In Vallecas like, but Michel looks for a 9 more to use. Santos is a second striker. There are other alternatives to strengthen the front of the Strip and that makes the goodbye of Santos is not as simple as it may seem. It happens, in addition, that in Butarque there are doubts about whether to strengthen a direct rival. With this panorama of immobility, Reyes situation is very conditioned to what happens with two players who, for now, have no imminent prospect of departure. Time is running and the picture is still complex.